Best Brands. Lowest Price. Guaranteed. 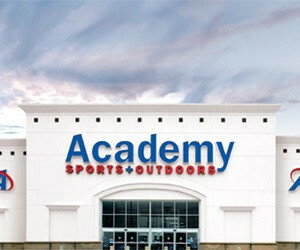 At Academy Sports + Outdoors, we make it easier for everyone to enjoy more sports and outdoors, at everyday low prices. Offer for $10 off your next Academy purchase will appear on your PDF ticket(s).